Canada has designed several immigration programs to invite highly skilled professionals in the country, in order to meet the skill shortage across its various provinces. Though, Express Entry System is the fastest and most popular immigration program of Canada, however, the significance of the rest of the immigration programs cannot be overlooked. The Provincial Nominee Programs (PNPs) are equally popular immigration programs of Canada. The nomination received through PNPs, benefit an applicant, multiple ways. 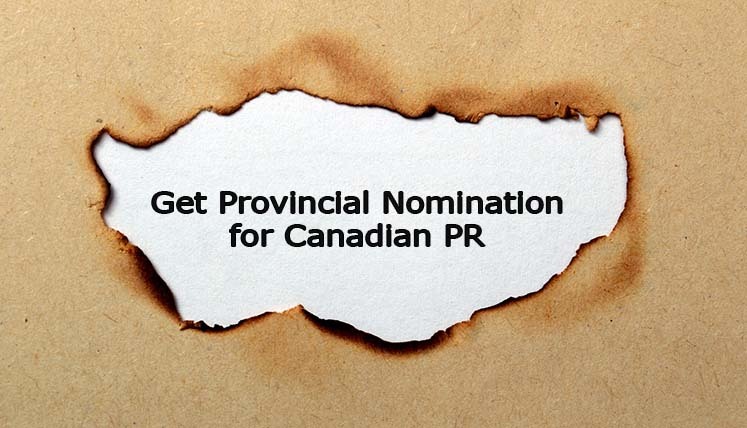 How one can get the Provincial Nomination for Canadian PR without Job offer? Saskatchewan is a crucial Provincial nominee program of Canada. Apart from removing the job offer, it also demands minimum proficiency level in the first language, i.e. CLB 4 as per Canadian Language Benchmark. The mentioned relaxations are applicable if you are applying under the International Skilled Worker – Occupation in demand Sub-category of SINP. The QSWP is another key immigration program in Canada. Though, it’s not the provincial nominee program, but selection in QSWP can surely ensure your permanent residency visa in Quebec, Canada. It’s the immigration program of Quebec province in Canada. If can apply in QSWP without job offer requirement. If you are selected in the program, you will get Quebec Selection Certificate (CSQ), which in turn make an applicant eligible to apply for PR in Canada. The NSNP is the key Provincial Nominee Program of Nova Scotia province in Canada. If you apply in the Express Entry Stream of Nova Scotia Nominee Program (NSNP) under the Paid Work Experience in an Opportunity Occupation category, you don’t require Canadian employment offer to receive the provincial nomination. The provincial nominee programs often provide several relaxations to the immigration applicants. You may coordinate with a reliable immigration expert to apply in the desired Provincial Nominee Program of Canada. How to get crucial assistance to apply in Provincial Nominee Programs of Canada? If you wish to get key assistance to apply for the Express entry system or provincial nominee program, you may coordinate with registered and most experienced migration experts at Visas Avenue. The Visas Avenue is leading Visa and Immigration Advisory Company in India with a qualified team of immigration specialist and professionals. With its years of experience, Visas Avenue is helping a huge number of applicants every year in obtaining the PR Visa for Canada. To discuss your immigration plan and eligibility, you may call the experts at Visas Avenue on 011-48447777, 011-46194650 (Delhi), 040-42467777 (Hyderabad), or 080-46668222 (Bangalore). Alternatively, you can drop a mail to Visas Avenue expert at info@visasavenue.com to get the prompt and relevant reply. Which is the Best Australia Immigration Consultant for IT Professionals in India?